Please beware that this is a fake message that is being spread across the social network. When users click on the scam link, they are taken to a fake page, which appears like Facebook and contains a video player. Clicking on the play button will not load the video, but will ask you to share the video link with your friends on Facebook . However, after “sharing” the post on your Facebook Wall, you will be provided with a set of online surveys, which you are asked to complete before you can watch the video. Please note that even after completing the surveys there is NO video shown. Please DO NOT waste your time in completing online surveys. Scammers generally create such scams to get users to complete online surveys. They get paid as commission when they get users to complete surveys like this. With over 800 million users on Facebook, the social networking giant has always been a main target for spreading scams. It is quite difficult to identify scams on Facebook. As a precautionary measure, always check which applications you use and remove unwanted or suspicious ones. Bookmark KashTech – Facebook Scams. We always keep you updated with the latest scams spreading on Facebook. You can follow us on Twitter add to your circles on Google+ or join our Facebook fanpage to keep yourself updated on all the latest from Microsoft, Google and Apple. Finally after a series of betas and a candidate release, the official release of Mozilla’s Firefox 8 is now available for download. The two main features of this latest release are Twitter Search as well as heightened security with increased add-on control. Allowing consumers to be fully in control of the browsing experience has long-since been a fundamental part of Mozilla’s mission statement, and Firefox 8 takes it to the next level it would appear. Previously, third party vendors could be added to extend the capabilities of Firefox. Now, though, such add-ons are disabled. Now of course, the browser can opt to enable add-ons, but as Mozilla programmer Justin Scott blogged, add-ons are not always beneficial to those browsing the Web. Firefox 8 is – as has always been the case – pre-loaded with add-ons, but this time around, users will be able to see from the onset which ones they particularly want / need, rather than unwittingly persevering with a slower browsing experience cluttered with unwanted extensions. When Firefox 8 is installed, a dialog box is fashioned, which lists add-ons, and asks which to enable and which to disable. With Mozilla’s regular release schedule, it’s hard enough for us to keep up with the versions, and apparently developers behind add-ons also experience such troubles, leaving many bereft of updates through new versions and suffering compatibility issues. Smooth? I think not! In addition to the add-on controls, Twitter Search integration will make it a lot easier for Tweeters to discover new topics, #hashtags and @usernames, although is initially limited to the English, Portuguese, Slovenian, and Japanese releases of Firefox 8. According to Mozilla’s official blog page, though, more languages will be rolling out during the course of the next few weeks. Here are the download links for those of you wishing to update to the box-fresh browser. What do you think of the new features? Leave your comments on our Facebook or Google+ pages! UPDATE: Official KashTech page on Google+ is LIVE! Add us to your Circles now! Google announced their new “Pages” feature to Google+ on their blog. The theme of their blog post centers around being able to connect with all the things you care about. Google+ Pages have been a long time in the making and are similar to the group and business pages you see on Facebook. They allow you to socialize with your favorite brands and businesses, in addition to people. Organizations can go to plus.google.com/pages/create to start their new page. Though they said the new “Pages” feature rolls out worldwide today, it doesn’t appear to be available everywhere just yet. When I tried to create a page earlier, I received the message picture below. behind every page (or storefront, or four-door sedan) is a passionate group of individuals, and we think you should able to connect with them too. At present, there are currently only a handful of pages available, such as the band All American Rejects, NFL outfit the Phoenix Suns, allegedly still relevant WWE as well as the fashion outlet that is H&M. We keenly await the more interesting Pages of the likes of Metallica, Apple andActivision – publishers of the "OMG, we can’t wait!" release of Call Of Duty, Modern Warfare 3. Google+ Pages will now be included in Google search results. Google has also introduced a “Direct Connect” feature for its search engine. For example, if you are an Angry Birds fan, then you can type a “+” symbol followed by Angry Birds in the search box and it will take you directly to their Google+ page. Apparently there are only a limited number of “Direct Connect” pages available at this time. The Big G will be rolling the service out to any organization pretty soon, so stay tuned for the KashTech Google+ Page. As soon as Google allows it, rest assured we’ll be there! Phone camera is the most handy tool one can have to click pictures. As it is not so convenient for everyone to carry their DSLR / Point To Shoot cameras every time or sometimes the DSLR/ Point To Shoot camera is not just easily available at the moment when there is a good clickable view is available. So it is necessary to get the most out of a phone camera and get the best possible shot out of a phone camera. Here are some points which to me makes sense which can be considered while clicking a picture from your phone camera. Hold the camera motionless and steady so that it doesn’t shake while you click. Keep both of the elbows steady and at the side to get some support from the body. Take a deep breathe, settle down and gently trigger the shutter release of your phone. If you’re clicking from an iPhone then you should know that it doesn’t click as soon as you press the button but when you release the pressing. So, when you press down the button, hold it steady when you release it or the blur created when it is shaken can make your images look bad. If your phone offers an ISO change in setting, set it to Auto which is always a good option. If manually, set ISO to lowest when you’re clicking outdoor and maximum as the light goes darker. Camera flash can be your secret weapon. You can use it even when you’re clicking during day time to reduce the shadow caused by the sunlight. It can get you even lighting if you’re very close to subject giving you the best of your click. Digital zoom is nothing but zoom into your pixels causing noise. Your phone’s camera can’t adjust itself by moving its lens unlike in digital SLR cameras. So it is better to avoid digital zooming as much as possible. 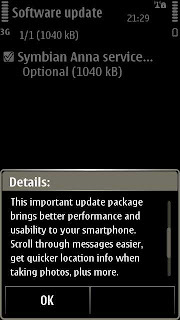 Hot on the heels of the v25 firmware update for their Symbian^3 phones, Nokia has started rolling out a performance pack for their handsets. As the name suggests, the ’performance’ pack aims at improving the performance and stability of the phone and its core apps. The change-log states an improvement in the email app, improved GPS performance and ‘more’. The update is an application level update, and not a firmware level update. 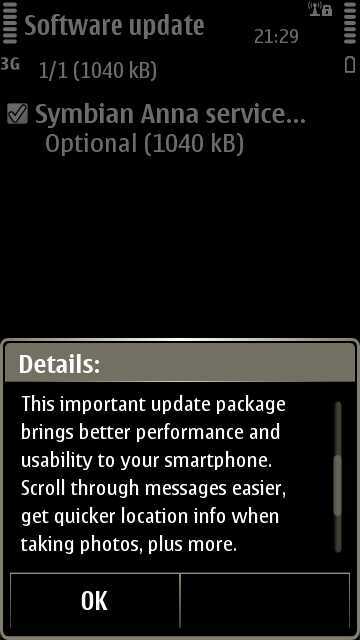 Thus, the firmware version of your phone will remain the same post the update. Grand Theft Auto fans are now in for a surprise. The next version of the series is now scheduled to come in a matter of time. This game’s trailer is to come this November 2 – that’s coming Wednesday. With only one more week to go, the excitement among the GTA fans has risen it’s peak. The internet is now set ablaze with excitement and speculation. The front page of the GTA website sports a big banner showing “Grand Theft Auto V ; Trailer 11.02.11″. With a single glance at the image, we can recognize that this big, surprising game is just within a few days of our hands reach. There isn’t any news related to this game. We are not yet informed of the game details, in which platforms it will run or any other information. It’s just that the game is coming soon. Like the other versions of the Grand Theft Auto series, this version too is based around the factors money and murder. Basically all the games in this series involves a specific theme. A boss gives a job and it’s your duty to finish it. The game was in a continuous chain from the first to the third. But in GTA IV, the game was of different version. In GTA IV, Niko Bellic, an Eastern European War veteran comes to United States in search of American Dream but in the middle, he gets entangled with a bunch of thugs and criminals leading to the start of the game. Well, are you a GTA freak? Waiting to set your eyes on the trailer soon? Stay hanged with KashTech for a few days. Next week, we will be back with a brand new GTA V trailer. Reliance Industries Limited (RIL) plans to launch their 4G services across 700 cities in India by June, 2012, utilizing now RIL owned Infotel's pan-India spectrum license for broadband wireless access. The company also revealed plans to launch their affordable low-cost data cards and Android-powered tablets, strategically priced between ₹ 3,000 ($60) – ₹ 8,000 ($165). The company is said to be in final phase of talks with three vendors — Alcatel Lucent, Ericsson and Huawei to provision the 4G broadband gear for their network. On the tablet front the company is said to be in touch with over 15 Taiwanese and Chinese OEMs with their aim to offer devices across a wide spectrum of services at prices ranging from Rs 3,000 to Rs 15,000. 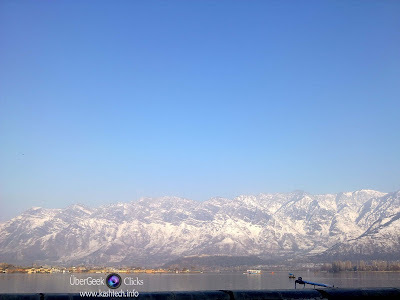 Since 1998, Kashmir has visited Google millions of times. This November, Google will visit Kashmir for the very first time!Google’s mission is to organize the world‘s information and make it universally accessible and useful. On November 3, 2011, Google together with Mercy Corps, bring you G|Kashmir. * A first-of-its-kind event in Kashmir, G|Kashmir will provide Kashmiri students, businesses, marketers, techies, developers, publishers/content owners, entrepreneurs, and internet enthusiasts of all kinds a chance to engage directly with the latest and greatest from Google. * Featuring customized content, the G|Kashmir event will equip participants with tips, tricks and tools to win digitally. * The event will provide training on using digital tools to spur technology innovation, business and entrepreneurship in Kashmir. * YouTube enthusiasts will also get expert advice on how to create and market content. Kashmiri entrepreneurs will get the opportunity to present their business ideas and get tips on how to take their ideas forward. You will engage with an international Google team and get the chance to ask questions and enjoy an exciting day with top peers, experienced mentors and experts. The G|Kashmir event will be hosted at the SKICC, Srinagar. Space is limited so if you’re interested, take a few minutes and apply today apply to attend. 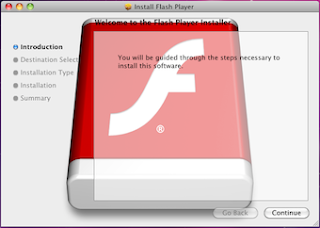 According to security researchers at F-Secure, a new variant of an existing Trojan Horse posing as a legitimate Flash Player installer (named Flashback.C by F-Secure) is designed to disable updates to the default Mac OS X anti- malware protection system, potentially leaving the system open to the manual installation of other malware without any system warnings. A Trojan horse works by fooling you into running it; in this case, Flashback disguises itself as an installer package for Flash Player. This Trojan horse is potentially capable of disabling XProtectUpdater-auto-update component of Apple’s built-in XProtect anti-malware application by overwriting the system binary that checks for updates. Once installed, Flashback.C first checks to see if the user is running “Little Snitch,” a firewall program that could alert the user of its actions. If it is found to be installed, the trojan deletes itself. If it doesn’t find Little Snitch, the malware then tries to connect to a remote host in order to obtain other installation files and configurations. F-Secure notes that “the remote host is up but it does not [yet] push anything.” If and when the site becomes active, it could deliver a payload that the trojan could use to disable the system’s auto-updater, using Safari or Firefox to deliver the malicious code via an LSEnvironment variable that loads when the browser restarts. The local system would be unable to obtain the latest anti-malware definitions and could subsequently be infected by other malicious programs the user installs without seeing the warnings that Mac OS X’s XProtect feature is designed to present. If you fear that you might have been infected, you can see removal instructions given by F-Secure here. Also, always download softwares from original company’s websites to remain protected from Trojan horses like this. Read our tips to keep your computer Safe and Secure here. In honor of the great American artist who is notably known for her work done for The Walt Disney Company, the Google Doodle is celebrating the artist’s 100th birthday by publishing a creative doodle on its homepage. The doodle is quite impressive and is based on the art of her work. The Google Doodle went live today, however there are a set of viewers who are still not able to view the doodle. It’s probably due to the dateline thing. 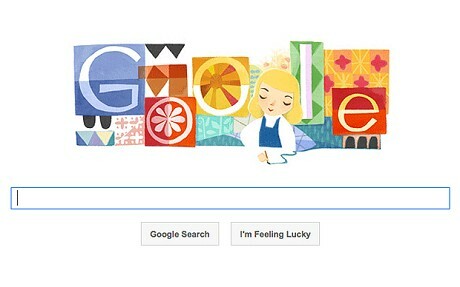 Mary Blair is recognized all over the world. She was one of America’s greatest artists and is best remembered today for work done for The Walt Disney Company. You might not recognize her, but I’m sure you would have heard of the films Alice in Wonderland, Peter Pan, Song of the South, and most famously Cinderella, for which Blair has produced the concept. She was born on October 21, 1911 in McAlester, Oklahoma. She moved to Texas during her early ages, and later to California when she was about 7 years of age. Mary graduated from San Jose State College and won a scholarship at Chouinard Art Institute in Los Angele. In the year 1934, she married to a notable artist named Lee Blair who had won a gold medal in the art competitions of the Olympic Games for his “Rodeo”. She worked on art for Dumbo, an early version of Lady and the Tramp and a second version of Fantasia which was released late in 1990s. She worked on two partially animated features Song of the South and So Dear to my Heart. In early 1950s, Mary Blair was credited with color styling on Cinderella, Alice in Wonderland and Peter Pan. Mary resigned from Disney after the completion of Peter Pan and worked as a freelance graphic designer and illustrator. In 1967, Mary created mural art for the Tomorrow land Promenade, which is a 90-foot-high (27 meters) and remains a focal point of the Disney’s Contemporary Resort hotel at Walt Disney World, which was completed for the resort’s opening in 1971. On July 26, 1978, Mary Blair died of a cerebral haemorrhage.